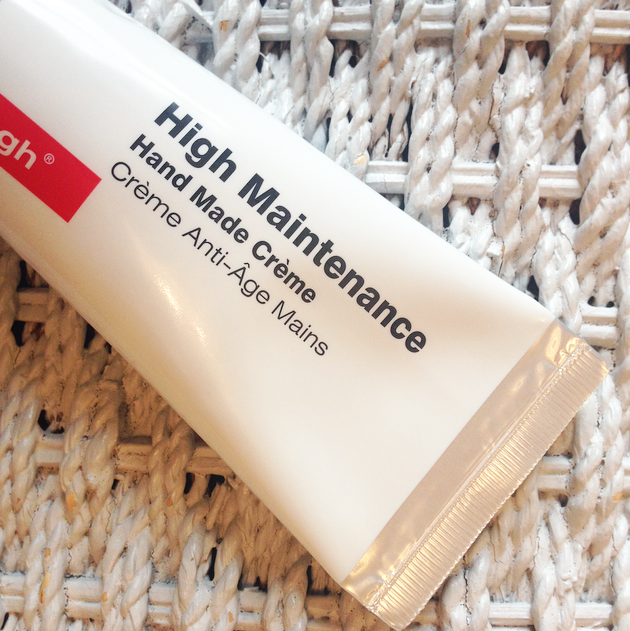 This high performance luxury hand cream is the best hand cream I’ve ever tried. Advanced anti-Ageing Care. A quickly absorbed non greasy intensively moisturising hand cream. Provides an invisible silken glove of protection and long term hydration. Expect immediate beauty to the appearance of your hands and be confident of long lasting results. An exciting breakthrough in anti-ageing hand care. 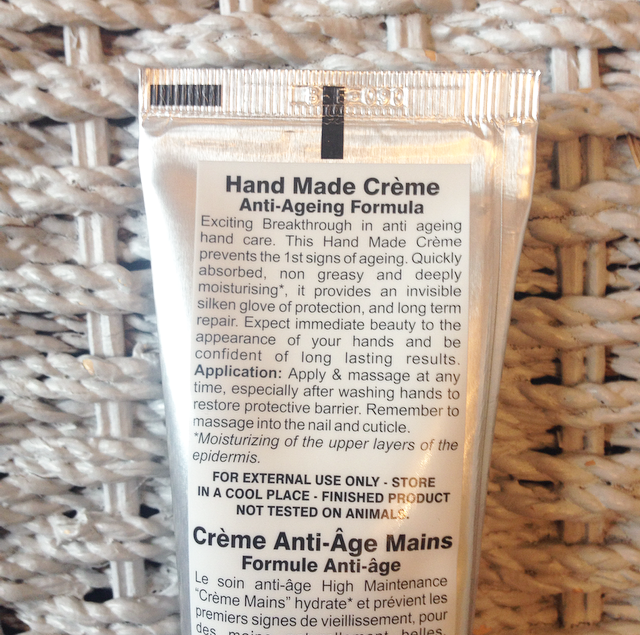 This Hand Made Crème prevents the 1st signs of ageing. Wow! this has just pushed my all time favourite hand cream off of the top spot! This hand cream delivers on ALL of it’s promises. It’s so highly moisturising my hands feel hydrated for hours on end. It is non-greasy but leaves a satisfying film like glove all over without feeling greasy or sticky. The texture is thick and creamy, the smell is gorgeous – reminds me of really nice smelling soap, a clean feminine kinda scent. The packaging is really cool, it’s like a giant toothpaste tube with it’s metallic silver and white/red branding and flip top lid. 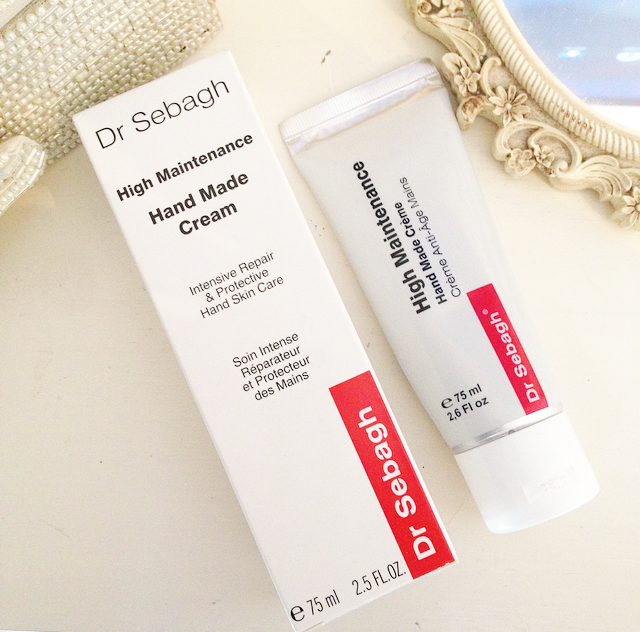 There isn’t anything not to love about this amazing hand cream! The results speak for themselves, this cream leaves my hands with a nice matte finish yet look and feel soft and silky as if I am wearing a glove. My skin looks healthier, much smoother and a few years younger! 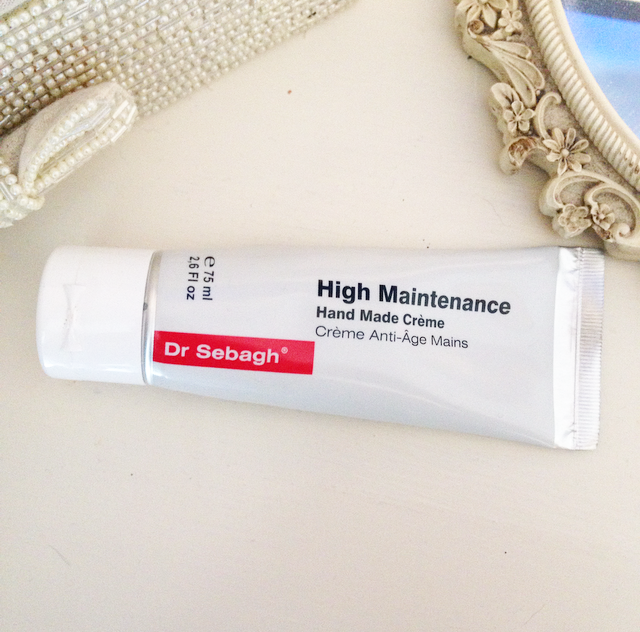 I keep this one on my dressing table to apply in the morning before I leave home and last thing at night. It’s a little pricey at £35 but matches it’s performance and high tech ingredients. I will be buying another tube of this hand magic when this one finishes. I have looked at it a few times! I better try it out for myself now!